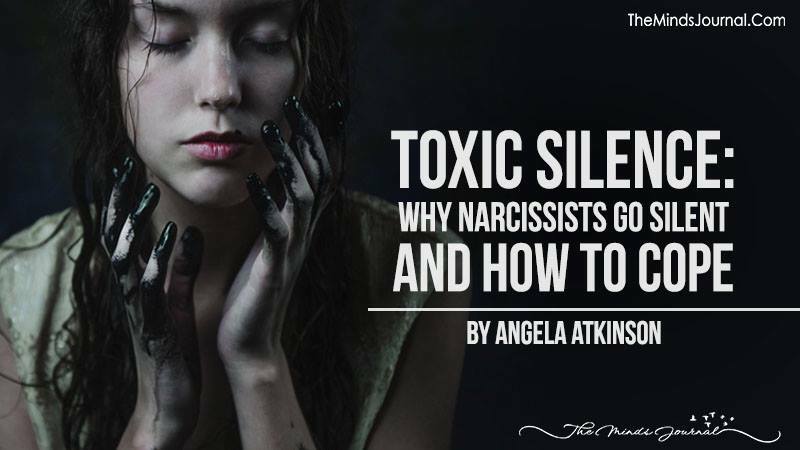 How do you deal with living with a narcissist who is giving you the silent treatment? Someone who will co-exist with you in the same house while literally ignoring you? What if that goes on for days? Weeks? Ideally, this would be a two-word answer: no contact. But in real life, things don’t always work ideally and people sometimes need to live with narcissists – so let’s dig into this. Believe it or not, this is just one of the many signs of gaslighting and emotional abuse you’ll notice if you’re in a toxic relationship with an abusive narcissist. And, in the case of a covert narcissist, you might often find yourself getting the old silent treatment – AKA the discard phase. The first thing you have to do is to educate yourself about the situation. I always say that knowledge is power, and the first fact you need to know about this issue is exactly why narcissists give you the silent treatment in the first place. See, whether they recognize it consciously or not, narcissists are wired to sort of “push your buttons” in order to get what they want. Now, you might wonder which button they’re trying to push when they just go silent, right? You might be surprised to find out that it’s not about making you crazy from lack of communication or pure boredom – rather, it’s about playing on your own worst fears. And, I’m betting, one of your worst fears is the fear of being alone in the world with no one to help or support or just be there for you. Am I right? And I’m guessing that, if you’re currently involved (or were previously involved) with a narcissist, you’re thinking of all kinds of little things the narcissist did in order to play on your fears. Get over your fears and get on with your life! So, by verbally and emotionally “cutting you off,” the narcissist offers you a taste of what life might be without his charming godlike awesome self (did you detect that bit of sarcasm there??). So, that’s the way – the narcissist ignores and belittles and devalues you because it plays on your fear of being alone. It is his hope that in enacting this silent narcissistic rage against you, he will force you into submission and into being the good little narcissistic supply he needs. If you’re staying in the relationship because you have no choice, you can play the game. But in the end, the best option is to leave and move forward.